We had such a great Wednesday with Aunt Karen and Cousin Alusha. Karen has a gift for giving attention and energy to children that is phenomenal. Carter and Ammon love being with her. Everyone swam for about two hours. Karen and Alusha then had lunch with us. 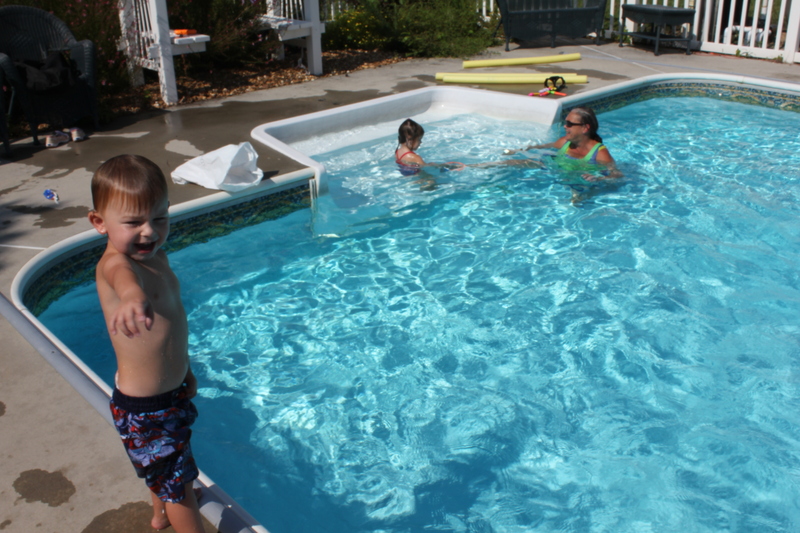 I know Alusha can still come swim with us on the weekends, but it was his last time to come during the 2011 Summer Vacation time away from school. We think he enjoyed himself as well. It is also worth noting that it got up to 100° on Wednesday afternoon on our front, shaded porch! You all stay cool! Doodness me, what are you doing up? how are the wee ones this morning? Hope yal have a great day, tisses and many hugs!